With Apple (AAPL) and Netflix (NFLX) both recording record highs, the Nasdaq finished Tuesday’s trading session with a 2nd consecutive closing record high. Unfortunately, the broader S&P 500 was only slightly higher on the day with the Dow finishing flat to slightly lower on the day. Even with the threat of retaliatory tariffs against the U.S. forthcoming from the likes of the EU, Mexico and Canada, investors have been able to form a risk-on appetite in the last several trading sessions. 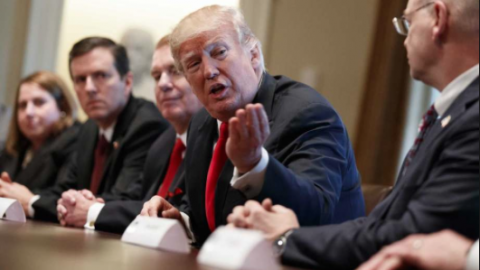 With trade skirmishes on the horizon, leaders of the Group of Seven nations will hold talks in Canada on Friday and Saturday, where tariffs and trade are likely to be discussed. While trade fears remain looming over the heads of investors, they have taken a back seat for now and as economic data has continued to express a strengthening economy. Last week’s stronger than expected Nonfarm Payroll data was supported by the latest reading from the Institute for Supply Management services index. The ISM services index rose to 58.6 in May from 56.8, while a reading of job openings rose to a fresh record in April, reaching 6.7 million after 6.63 million in March, the Labor Department said Tuesday. The number of vacancies is pulling well ahead of the number the Bureau of Labor Statistics counts as unemployed. This year is the first time the level of the unemployed exceeded the jobs available since the BLS started tracking JOLTS numbers in 2000. 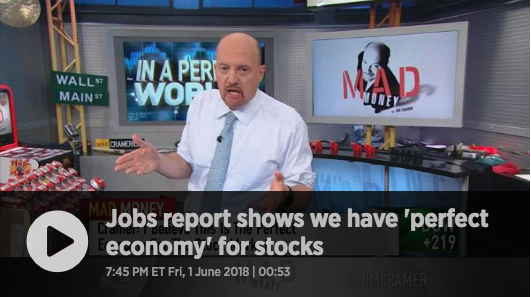 CNBC’s Mad Money host Jim Cramer says, “The jobs reports show we have a perfect market for stocks”. 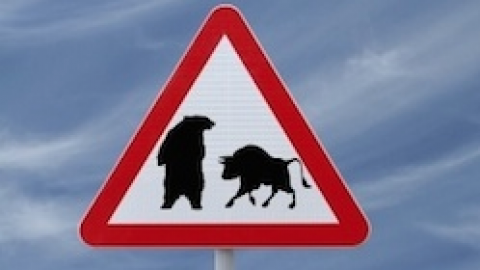 The current strength in equities has found the Dow climbing to a point where 25K is now within reach and the S&P 500 looks to close above 2,750. After several months of broad market consolidation, the major averages have seemingly found the urge to secure the next leg higher. The newfound strength has also spurred the considerations of one of the biggest bulls on Wall Street, Canaccord Genuity’s equity strategist Tony Dwyer. 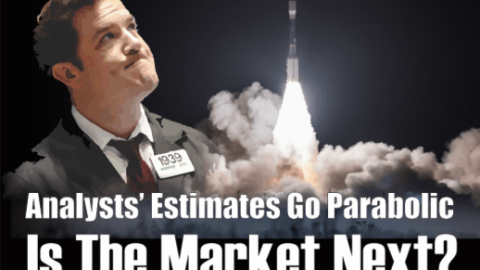 Via his Twitter feed yesterday, Dwyer alerted his followers that he would express his latest market considerations on CNBC’s Fast Money show. Dwyer boosted his estimate for S&P 500 operating earnings per share from $155 to $160, leading him to move his 2018 target for the large-cap benchmark to 3,200 from 3,100, which was already one of the most bullish calls on Wall Street. That would mark a 17% rise from the S&P 500’s close at 2,734.62 on Monday and would be more than 11% above the record close of 2,872.87 set on Jan. 26. He also set his target for 2019 at 3,360, based on expectations for a simple nominal growth rate of 5% for operating earnings, which would take them to $168 a share. We thought SPX gains would be second-half loaded, and we are nearing that part of the year, and that euphoria for both the economy and market have faded a bit. 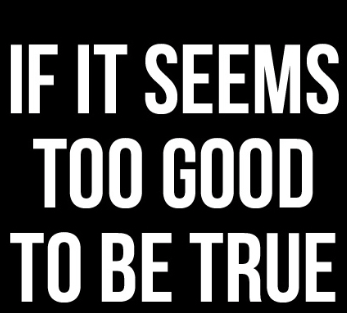 The bottom line, meanwhile, is, well, the bottom line. 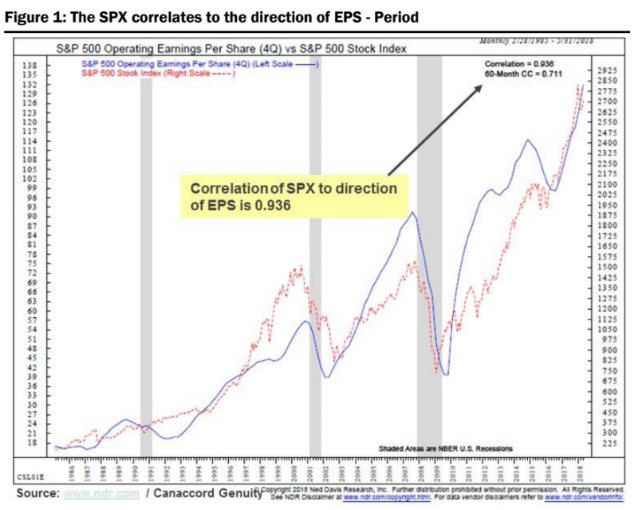 In other words, the market “correlates most directly to the direction of EPS,” or earnings per share, Dwyer said. And with EPS expected to grow over 20% in 2018 and keep growing in 2019, the stage is set. Moreover, Dwyer expects the Federal Reserve to deliver a quarter-point rate increase later this month, but thinks the central bank will be “very hesitant” to raise very aggressively out of fear of inverting the yield curve. 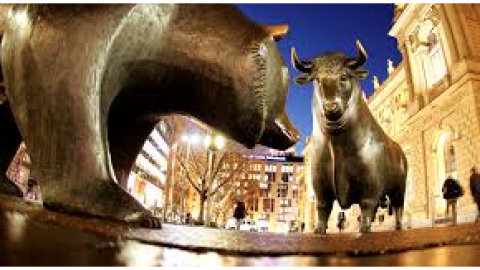 With a bullish presentation for investors by Tony Dwyer and European equity markets rallying thus far in the early hours of Wednesday, U.S. equity futures are also pointing to another positive open. Investors should keep in mind that Europe is now confronted not just with a potential showdown between Italy and the EU in the coming months. Analysts have said Italy may have a difficult time finding buyers of its bonds when the ECB eventually stops purchasing debt issued by the Eurozone’s third-largest economy. 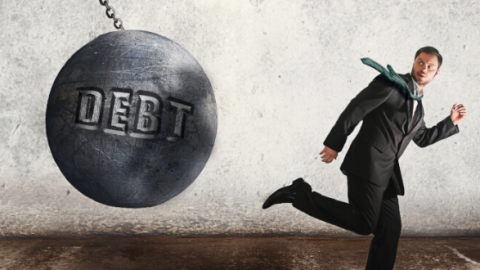 Italy’s debt exceeds roughly 130% of the country’s gross domestic product. The potential for the ECB to end Quantitative Easing in the near future is real and many expect the program to end in September. ECB officials indicated policy makers would begin to focus on ending the central bank’s bond-buying program. Talking retail, the SPDR S&P Retail ETF (XRT) has been in rally mode since April. The retail sector ETF has soared nearly 10 percent. The XRT finished trading yesterday near a 6-month high on the heels of stronger than expected retail sector earnings from the Q1 2018 period. Some of the biggest movers with the retail sector have been Kohl’s (KSS), Macy’s (M), Target (TGT) TJ Maxx Corp (TJX) and Amazon (AMZN). Some of the laggards in the retail sector have been Bed Bath & Beyond (BBBY), Sears Holdings (SHLD), J.C. Penney (JCP) and Wal-Mart (WMT). 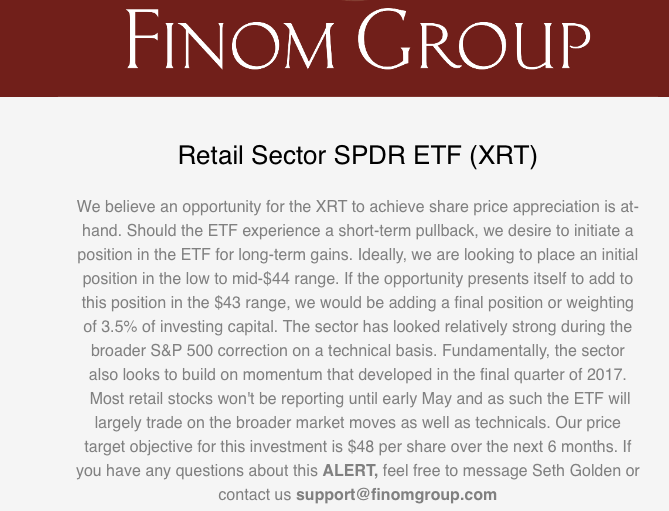 It was in April that Finom Group’s chief market strategist Seth Golden identified the opportunity with the retail sector ETF and delivered the potential to members of finomgroup.com. The following e-mail was sent that discussed Golden’s views on XRT. With XRT near 6-month highs and achieving Golden’s price target and profit objective, this trade was closed out yesterday. Golden believes a near term pullback in shares of XRT represents a further opportunity as consumer spending and retail sales show signs of continued strength through 2018. 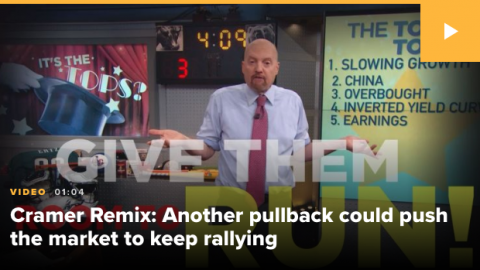 Given the recent positive news surrounding equities of late, we think it only prudent to point out some signs of rally-skepticism as identified by Jim Cramer. Jim Cramer warned on Tuesday night that some strong sectors aren’t enough to sustain a long-term rally. Will he be proven right? 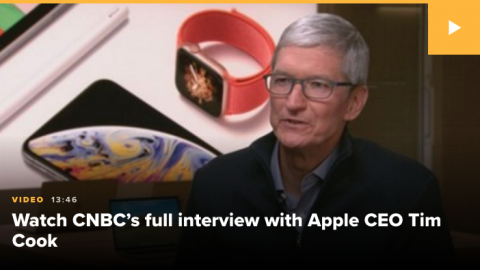 “The truth is that while a couple of groups are leading the way here, namely tech and retail, very few stocks away from those groups are following. 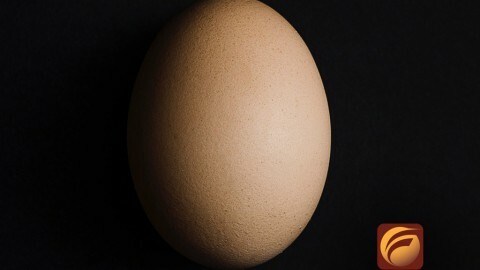 If we don’t get some more followers soon, this could spell the end of this advance. As tech and retail has carried this latest market rally, shares of the financials, drug makers, health insurers, medical device makers, transportation companies, airlines and consumer goods plays were not able to pull their weight. In short, eventually retail and tech will become top heavy and without other sectors supporting the market, the current rally could falter until more leadership is found. The positive backdrop for equities of late has nonetheless given rise to greater market complacency. 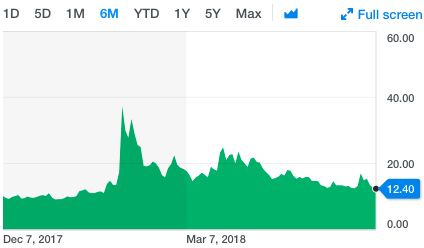 Not sure that sentence comes across grammatically appropriate, but to the point, volatility has significantly reduced since the February-March period. The VIX is on the verge of breaking below 12, representing a near 6-month low. Issues on trade, Fed rate hike and ECB easing policy all prove innocuous and markets further rally with volatility remaining subdued. Issues on trade, Fed rate hike and ECB easing prove of greater concern and markets pullback to some degree with increased volatility. Finom Group’s forecast for the VIX remains with a median 15.7% for the year until further notice.